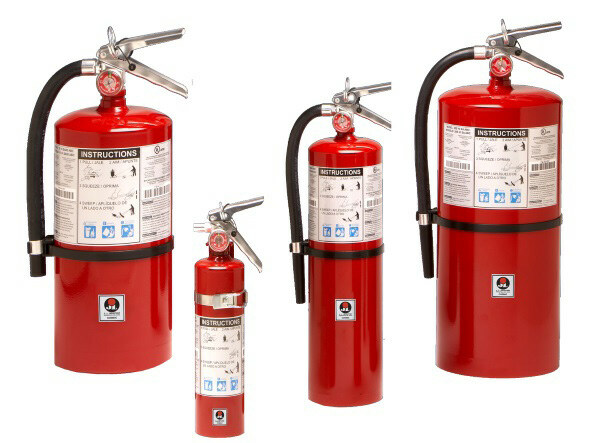 These units contain specially fluidized and siliconized mono ammonium phosphate powder, which smothers and breaks the chain reaction on Class B fires, fuses and insulates Class A fires, and is a non-conductor of electricity. Non-toxic. Construction: Heavy-duty steel cylinder with rugged metal valve and siphon tube with replaceable molded valve stem seal, visual pressure gauge, pull pin and upright squeeze grip. Corrosion and impact-resistant powder coat finish.